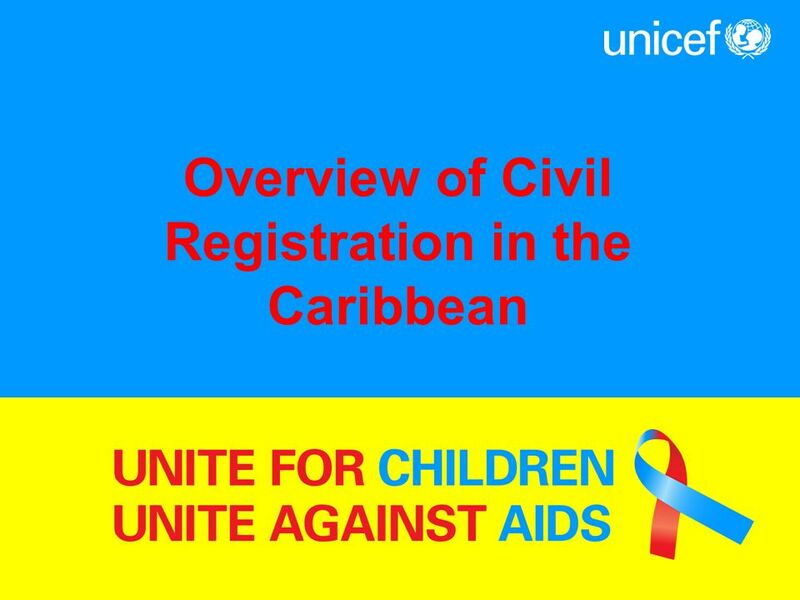 Overview of Civil Registration in the Caribbean. 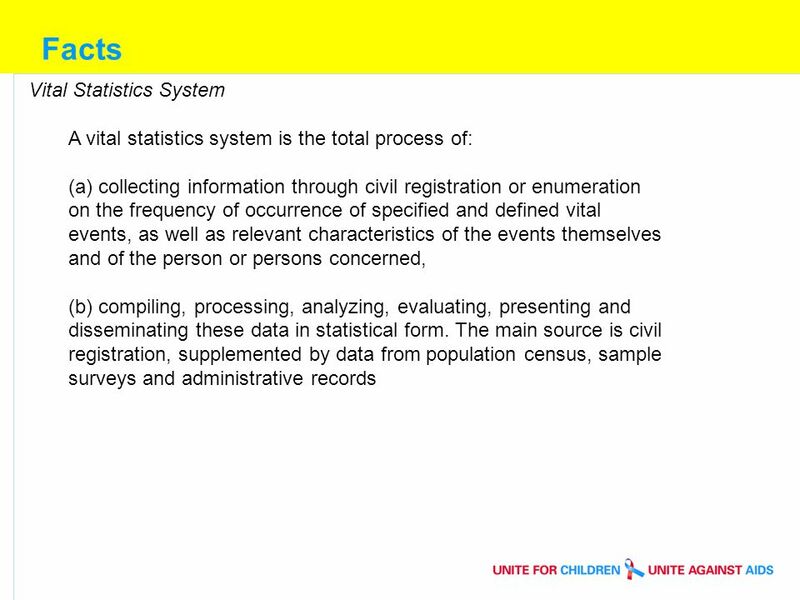 Facts Civil Registration System Civil registration is defined as the continuous, permanent, compulsory. 2 Facts Civil Registration System Civil registration is defined as the continuous, permanent, compulsory and universal recording of the occurrence and characteristics of vital events (among others, live births, deaths, foetal deaths, marriages and divorces) pertaining to the population as provided through decree or regulation in accordance with the legal requirements of a country. 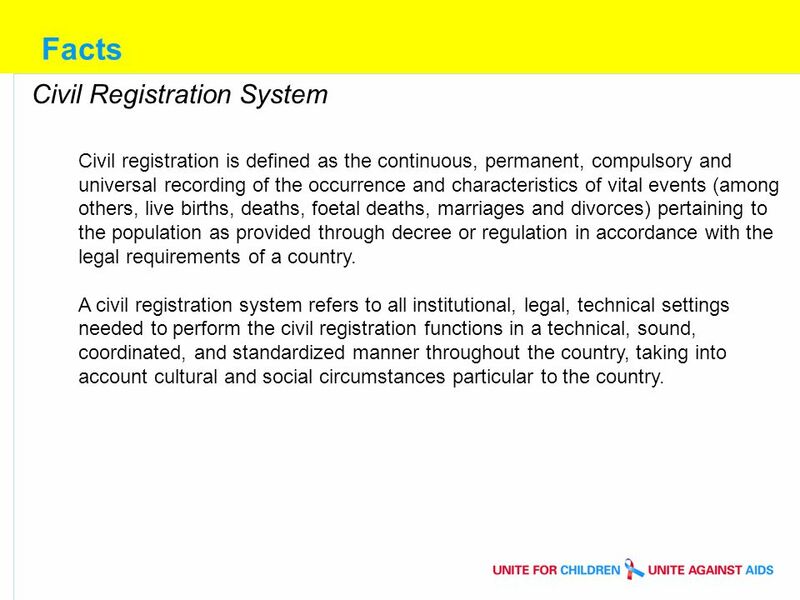 A civil registration system refers to all institutional, legal, technical settings needed to perform the civil registration functions in a technical, sound, coordinated, and standardized manner throughout the country, taking into account cultural and social circumstances particular to the country. 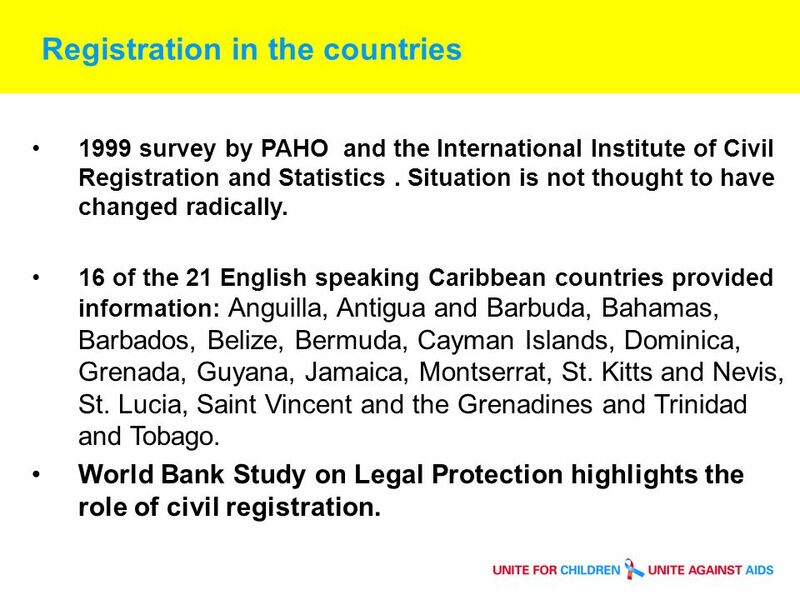 5 Registration in the countries 1999 survey by PAHO and the International Institute of Civil Registration and Statistics. Situation is not thought to have changed radically. 16 of the 21 English speaking Caribbean countries provided information: Anguilla, Antigua and Barbuda, Bahamas, Barbados, Belize, Bermuda, Cayman Islands, Dominica, Grenada, Guyana, Jamaica, Montserrat, St. Kitts and Nevis, St. Lucia, Saint Vincent and the Grenadines and Trinidad and Tobago. World Bank Study on Legal Protection highlights the role of civil registration. 6 Ministries contd: Saint Lucia (1) Saint Vincent & Grenadines Trinidad & Tobago (2) Turks & Caicos Islands (2) = Civil registration = Vital statistics (1) In Saint Lucia, civil registration is located in a combined Ministry of Legal Affairs, Home Affairs and Labor and tallied under Legal/Judicial for purposes of this review (2) Information based on IIVRS survey conducted in 1994 for both civil registration and vital statistics for Bahamas, Barbados, St. Kitts & Nevis, Trinidad and Tobago and Turks & Caicos Islands, and for vital statistics only in Bermuda and Cayman Islands. 7 Centralization vs Decentralization In addition to the placement of the national registration authority, registration systems may be centralized or decentralized. 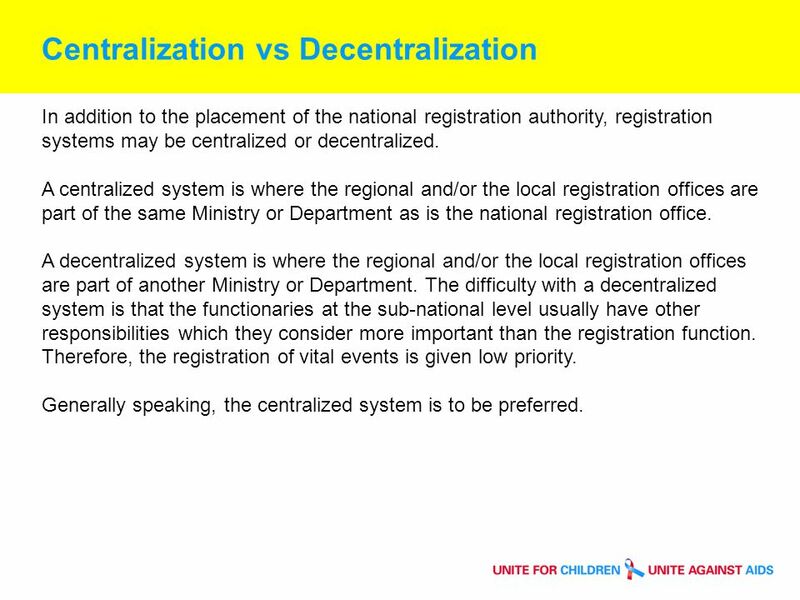 A centralized system is where the regional and/or the local registration offices are part of the same Ministry or Department as is the national registration office. A decentralized system is where the regional and/or the local registration offices are part of another Ministry or Department. The difficulty with a decentralized system is that the functionaries at the sub-national level usually have other responsibilities which they consider more important than the registration function. Therefore, the registration of vital events is given low priority. Generally speaking, the centralized system is to be preferred. 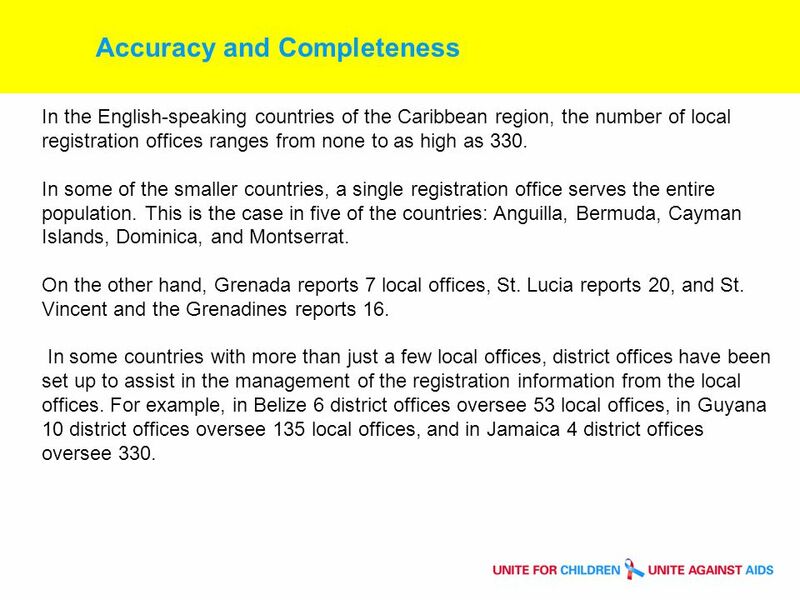 8 Accuracy and Completeness In the English-speaking countries of the Caribbean region, the number of local registration offices ranges from none to as high as 330. In some of the smaller countries, a single registration office serves the entire population. This is the case in five of the countries: Anguilla, Bermuda, Cayman Islands, Dominica, and Montserrat. 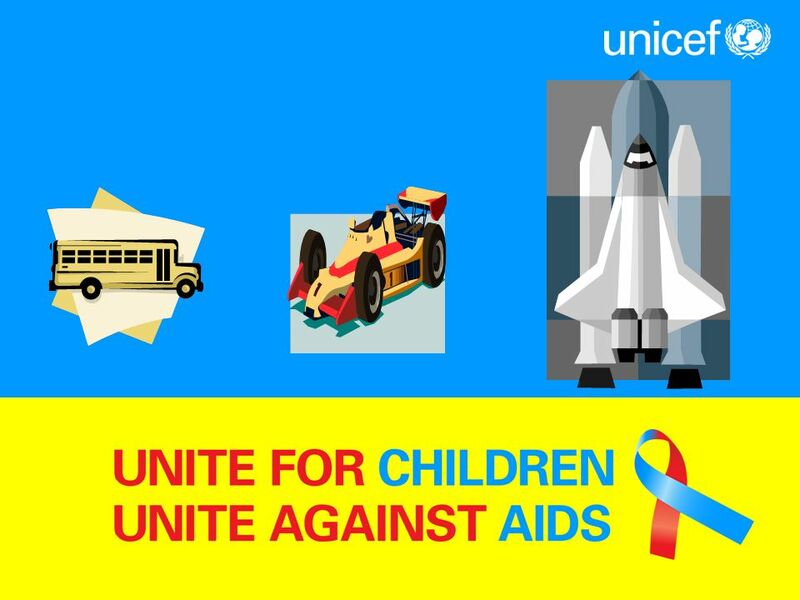 On the other hand, Grenada reports 7 local offices, St. Lucia reports 20, and St. Vincent and the Grenadines reports 16. In some countries with more than just a few local offices, district offices have been set up to assist in the management of the registration information from the local offices. 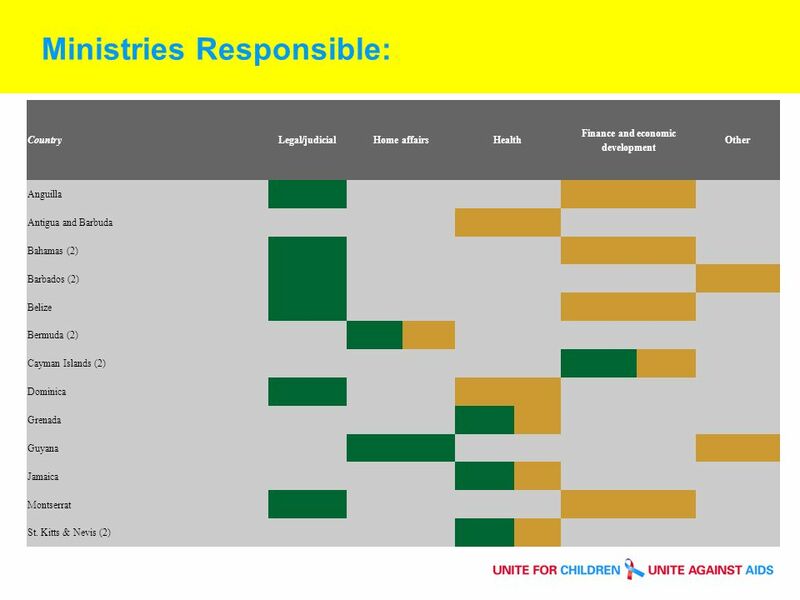 For example, in Belize 6 district offices oversee 53 local offices, in Guyana 10 district offices oversee 135 local offices, and in Jamaica 4 district offices oversee 330. 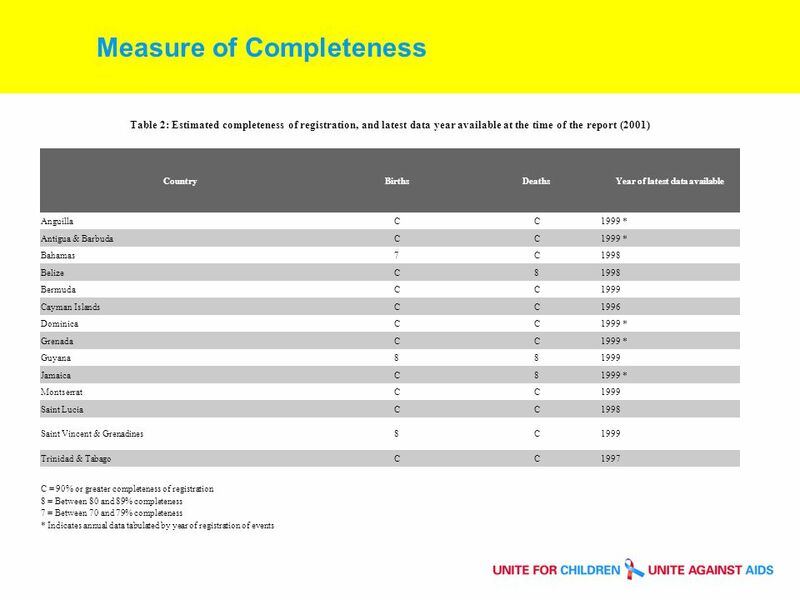 9 Measure of Completeness There are no standards for the registration of births and deaths for legal and administrative purposes. 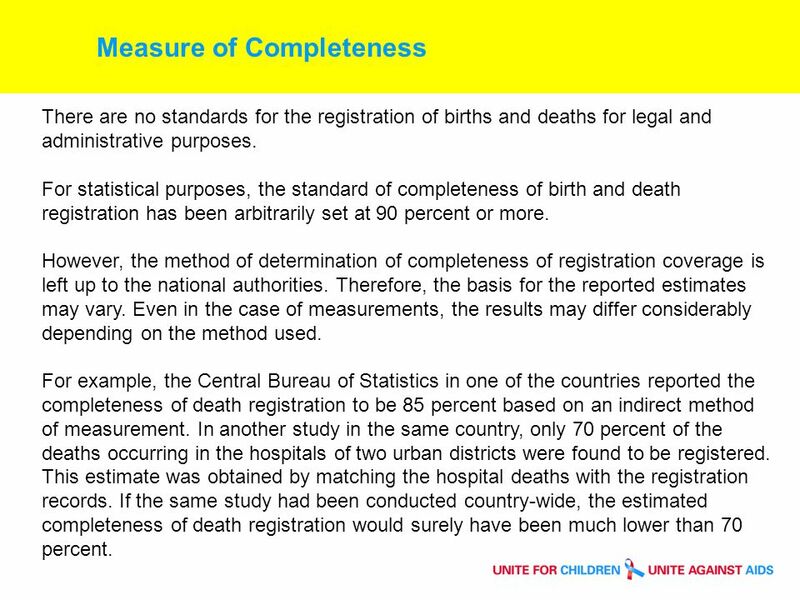 For statistical purposes, the standard of completeness of birth and death registration has been arbitrarily set at 90 percent or more. However, the method of determination of completeness of registration coverage is left up to the national authorities. Therefore, the basis for the reported estimates may vary. Even in the case of measurements, the results may differ considerably depending on the method used. For example, the Central Bureau of Statistics in one of the countries reported the completeness of death registration to be 85 percent based on an indirect method of measurement. In another study in the same country, only 70 percent of the deaths occurring in the hospitals of two urban districts were found to be registered. This estimate was obtained by matching the hospital deaths with the registration records. If the same study had been conducted country-wide, the estimated completeness of death registration would surely have been much lower than 70 percent. 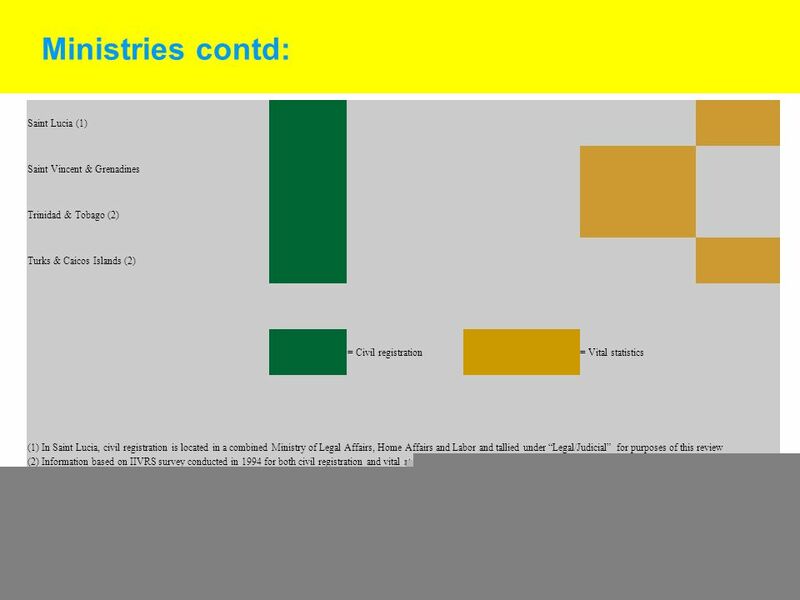 Download ppt "Overview of Civil Registration in the Caribbean. Facts Civil Registration System Civil registration is defined as the continuous, permanent, compulsory." Snap Shot of OVC Planning in the Caribbean. Facts Three quarters of the 250,000 people infected wit HIV live in two countries: Haiti and Dominican Republic. UNESCO INSTITUTE for STATISTICS UIS Education Survey: Assessing data reporting and quality Juan Cruz Perusia February 2008, Hastings. From Quantity to Quality: AID FOR TRADE in Latin America and the Caribbean Marcelo M. Giugale Director Poverty Reduction and Economic Management THE WORLD. Presentation on Civil Registration and Vital Statistics Systems in Namibia __________________________________ Workshop on Improvement of Civil Registration. National Statistical Offices Overview 28 June 2010. Figure 1. Central America and the Caribbean Source: World Health Organisation, Pan American Health Organisation, Library of the University of Texas. Student. V Conference of the Pan American Network for Drug Regulatory Harmonization (PANDRH) 17 – 19 November 2008 Buenos Aires Argentina Beverly Reynolds CARICOM. CENTRAL STATISTICAL OFFICE An Overview Presented by Sterling Chadee 5 th -6 th November 2013. Subregional Headquarters for the Caribbean15th Monitoring Committee Review and Evaluation of Progress Towards the Implementation of the Brasilia Declaration. Caribbean (West Indies) Greater Antilles: 4 large islands: Cuba Jamaica Hispaniola Puerto Rico Lesser Antilles: in arc between S. America and Greater Antilles. Strengthening Violence and Injury Surveillance: Challenges and Opportunities in the Eastern Caribbean Meeting of International Collaborative Effort on. Sources of demographic data Population census Sample Surveys Population registers Other sources The balancing equation. Company LOGO CCLEC Customs Management Program (CCMP) building capacity to manage. Inter-American Observatory on Security Department of Public Security Secretariat for Multidimensional Security WORKSHOP ON VICTIMIZATION SURVEY IN THE. Other Caribbean Resources Presented by Beverley Lashley Project Coordinator, CARDIN, UWI at the International Course on Development and Disasters February.